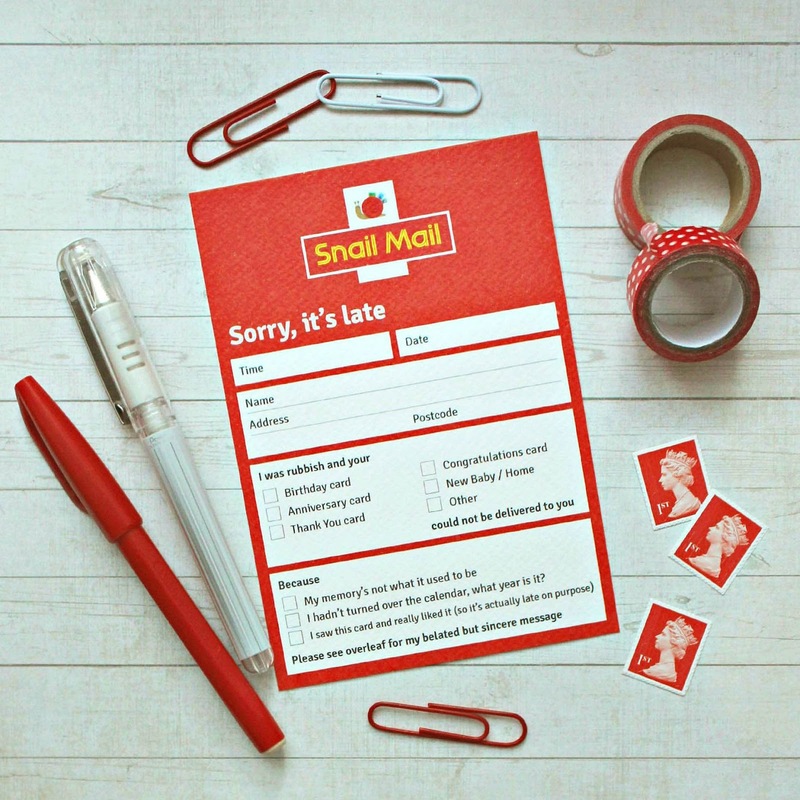 For those of you living in the United Kingdom this card will be instantly recognisable as the usual red card the postman leaves when you have missed your parcel delivery. Look closer though and you will see that this card is actually a 'Sorry it's late' (for your special occasion) postcard cleverly designed to look like the one the postman leaves. Imagine the disappointment (from missing a parcel and having to wait to pick it up) turn to a smile and maybe even a laugh when the recipient realises it is instead a funny card. I am so pleased with these postcards, they are perfect for someone like me who forgets occasions often. I found the Sorry, it's late postcards on Etsy. I love a nice notepad (or ten!) and have bought some nice ones in TK Maxx recently. I find that it can often be a bit hit or miss with TK Maxx. 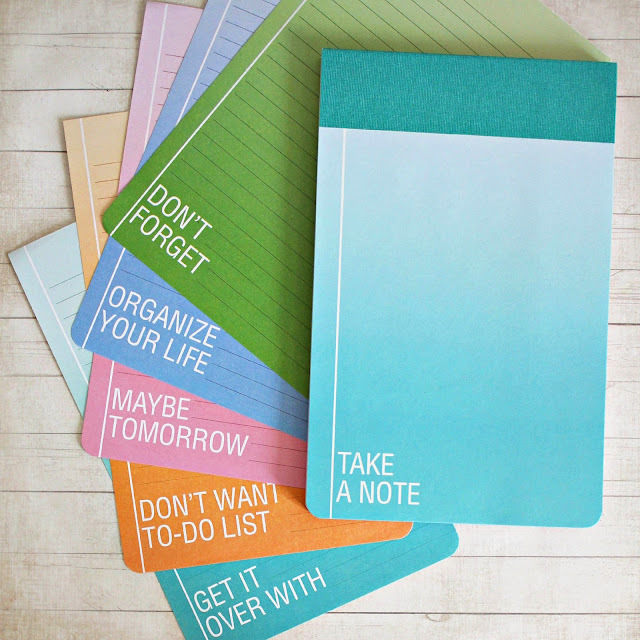 Finding nice stationery items there is often a miss, with things sold out or just a limited selection. Other times though, it can feel like hitting the stationery jackpot. I picked up a couple of notepads recently from them that were quite affordable compared to other high street shops. I loved this colourful notepad (above) I can see myself using it often. Another notepad I bought you can see below. 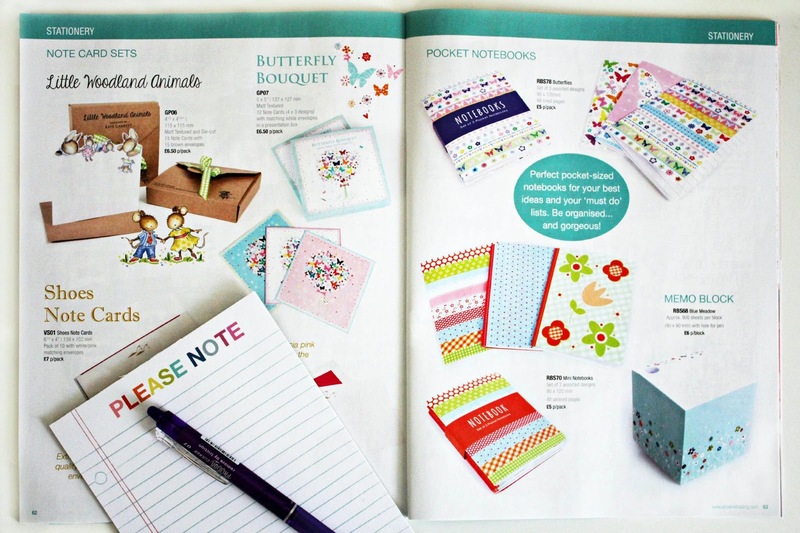 There is a small selection of stationery on the TK Maxx website but a better selection can sometimes be found in their larger stores. Photo of writing done with a Pilot FriXion pen before and after it is erased (notepad from TK Maxx). Can it be true, an erasable pen? I always write my letters and notes with pen and make a ridiculous amount of mistakes. Mainly due I think, to bad spelling and grammar, being left handed and smudging my writing and the fact I often change my mind about what I want to say. Making lots of mistakes has meant that up until now a lot of my letters/notes have to be re-written. I recently discovered that there are actually pens that can erase their own ink. How did I miss this? I don't think I have ever got so excited about a pen as I have with the Pilot FriXion Erasable Pen. Although the ink is still slightly visible after you have erased it, it is only slight. I would still prefer to use an erasable FriXion pen over using an ordinary pen and putting Tipp-Ex on my mistakes, as it is much easier to write over and makes mistakes much less noticeable. My FriXion pen is going to save me SO much time not having to write things over and over, I love it! The Pilot FriXion Erasable pens also come in quite a few colours to. It is safe to say that as a monthly subscriber to Mollie Makes Magazine that I am loving it every month but this latest issue (above) is really good. 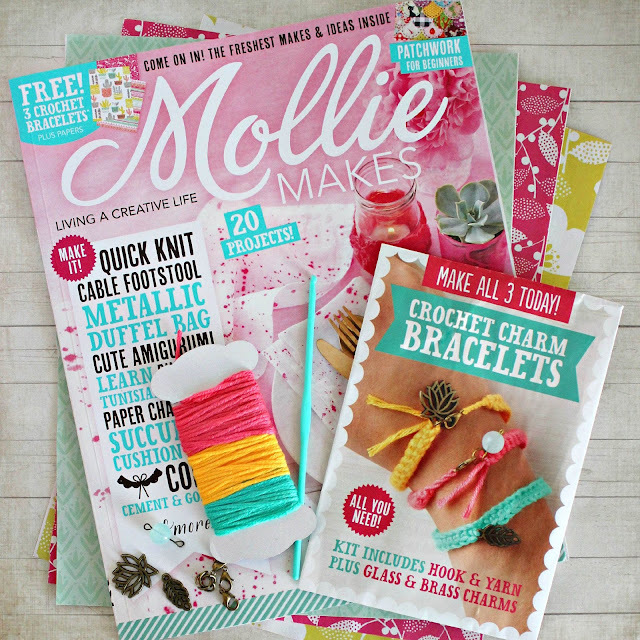 It is such a colourful issue (you know how much I love colours) I really like the free patterned papers that came free with this issue, I might turn them into some envelopes or use them for some origami. I also really like all the projects inside, especially those by Fall For Diy and super+super. I think I need to knuckle down and finally learn how to crochet as well so I can make the bracelets using the yarn, charms and hook in the free kit. What are you loving at the moment? that Joycelyn of the blog The Reading Residence organised. Those involved in the swap were given a partner to swap stationery/paper goodies with. 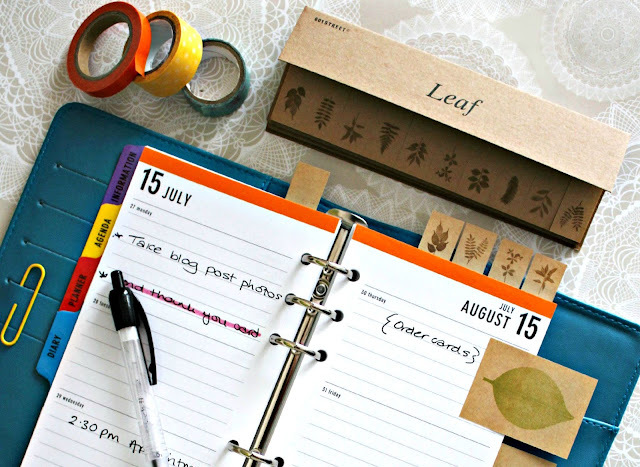 It was such a lovely idea, what could be better my fellow stationery fans? 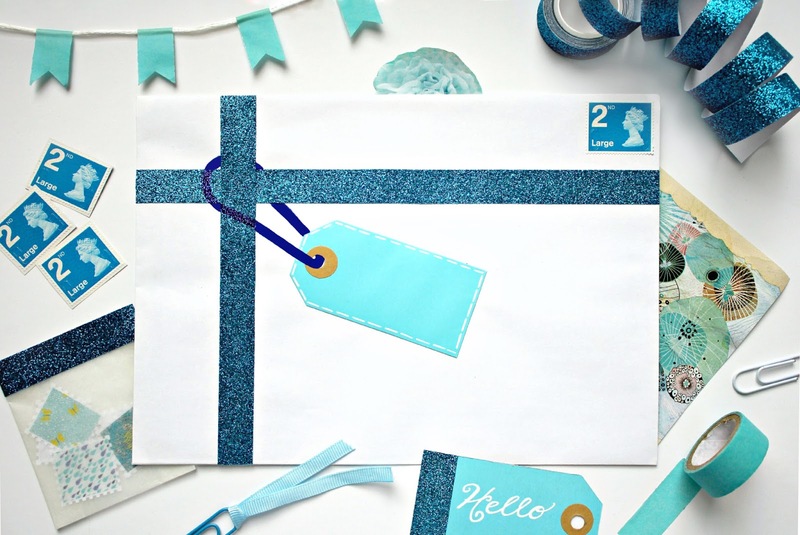 I was partnered with a lovely lady called Laura, who, as luck would have it works as an independent seller for a stationery shop. 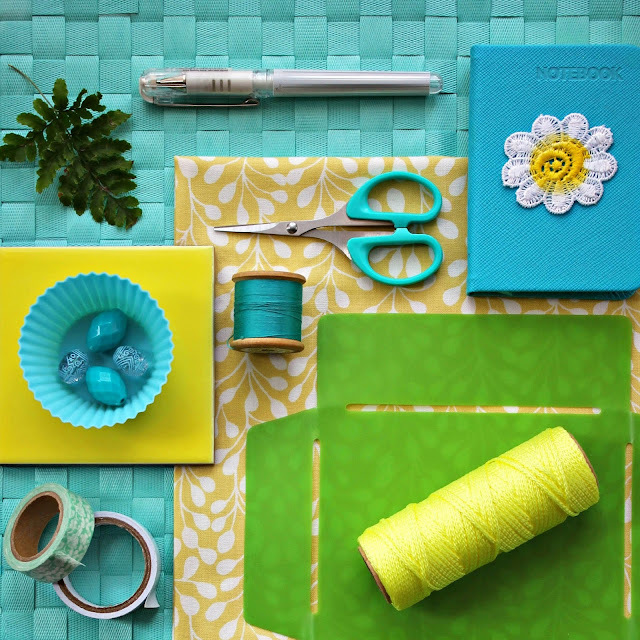 For a stationery fan like myself, running an actual stationery shop has got to be a dream job. Psst, I am designing my own stationery line at the moment. Can't wait to share more with you soon. Laura sent me all these greeting cards (above, minus one I have already used) and some leaf page markers. Such a happy mail day! 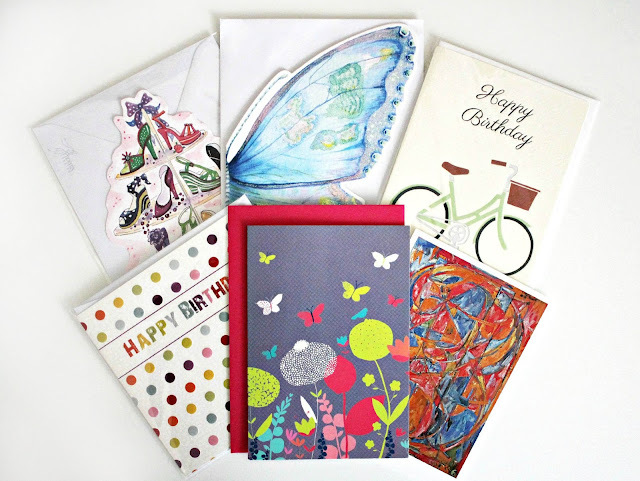 A few of the greeting cards, like this beautiful butterfly card were actually from her shop. I think it is my favorite card and would be the perfect thing to send a butterfly fan. The page markers she sent will definitely come in handy with my planner to. As well as those goodies, Laura also included in her package to me a brochure of her shops products. The shop is called Phoenix Trading and it has a big range of goods, including; greeting cards, notepads, gift wrap, children's games and more. The products seem to be really good value for money, I will be placing an order really soon! 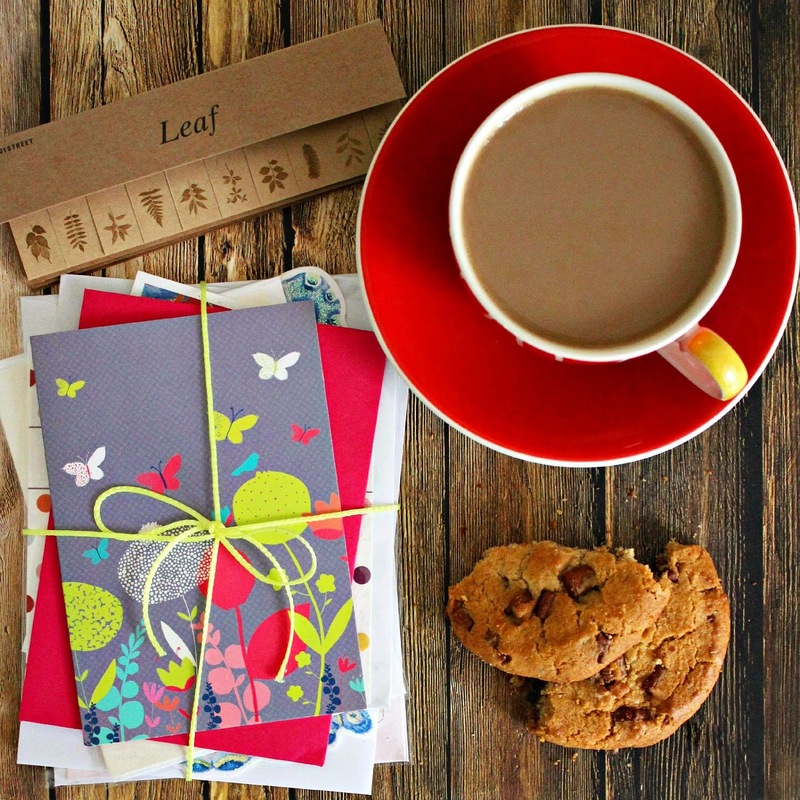 A big thanks to Laura for sending me such a lovely swap package and for introducing me to her stationery business. If you are curious to see what I sent Laura head over to her blog Think Cards, Think Laura. 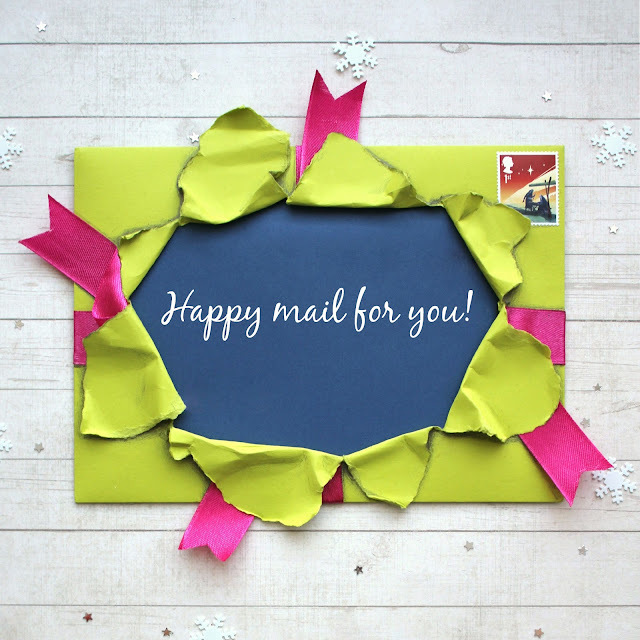 Do you know of any other stationery/happy mail swaps happening right now? Please share, I do love a good swap don't you? Before I started on the makeover I looked for office design inspiration in some home and craft magazines and on Pinterest. 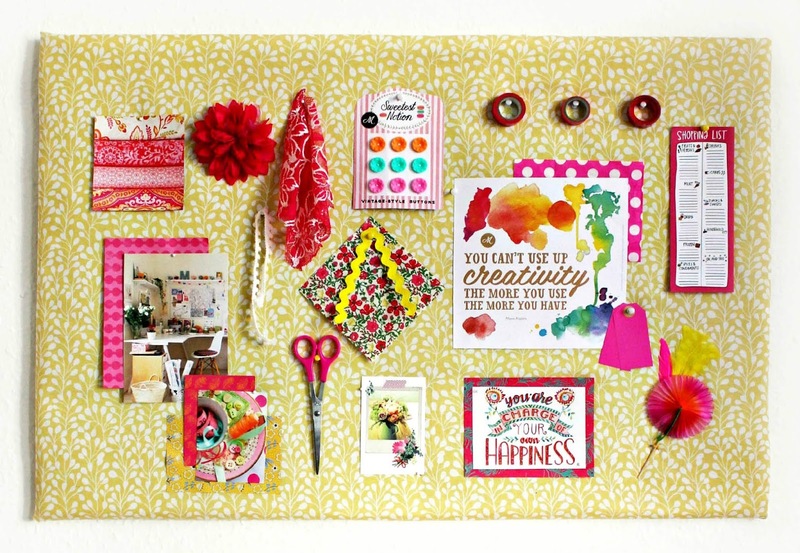 I then created a mood board (above) to reflect the colours and themes I wanted to use. I settled on yellow, lime green, turquoise and white as the main office colours. I found it helped to have a rough idea of how I wanted the makeover to look beforehand as it gave me something to work towards. My main goal in doing the makeover was to have a desk space that I could fully utilize. My desk before was stacked with papers, magazine files and my printer etc, so there wasn't much space to spread out when working on my projects. I really wanted my desk to be a clear surface with only my favourite things out on display. My other goal was to get organised and have a proper place for everything. I hoped to make my office a nice place to work, which it wasn't before. Once I had decluttered all the stuff I had no need for (which actually felt great!) I decided on how and where my things would be stored and displayed. This process was actually quite satisfying, as I could put all the boring stuff away into boxes and files and have only the nice things out. My main purchases for this makeover were a white chair to go with my desk and a ladder storage unit. I bought the ladder storage unit to put my boxes and craft supplies on and had also planned for my printer to go on the bottom shelf. I forgot the always measure before buying anything rule though and the shelves turned out to not be wide enough to put the printer on, whoops! So I used a small table I already had to put it on instead. I also bought a couple of storage boxes and some wicker storage baskets to hold all the papers and other items I needed to keep. The lime green office accessories were supplied by the Post Office and are part of their CEP Pro Gloss range. The items actually came in very handy with organizing my office. I used their bin to store my gift wrapping papers and their paper tray now makes my printer paper more accessible (compared to the box file I used before). I also found their magazine file to be much more sturdy than the cardboard types I had been using previously. It is definitely worth investing in some quality desk accessories if you can and I think the Post Office's CEP Pro Gloss range of products is not only great quality but very affordable to. My finishing touches to the office were the putting up of my notice board that I recently painted and displaying some of my favorite stationery/craft items. I also brought in some plants to bring a bit of nature inside. Now the challenge to keep my office clutter free begins! Here are some of my tips for doing an office makeover on a small budget. Keep your office clear of clutter. For me, clutter is a big distraction. It is a reminder of all the things I need to do (namely get rid of my clutter!) but also means I associate my office with things I don't want to do. Get rid of those negative vibes by throwing out anything you don't need or want. Keep in mind that famous William Morris quote "Have nothing in your house you do not know to be useful, or believe to be beautiful". By keeping your surfaces clear and putting everything in its place you will be able to concentrate on the things you want to do and not be distracted by the clutter. 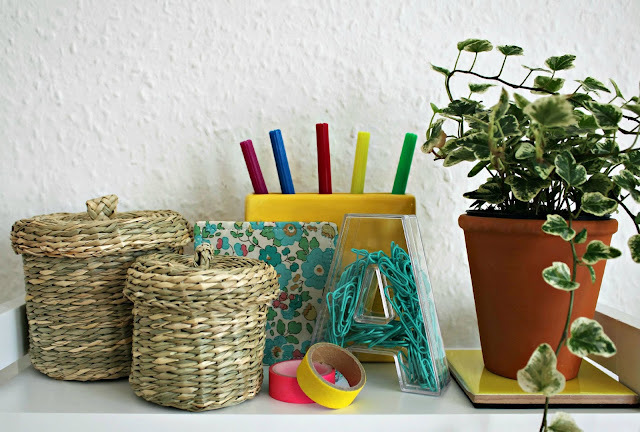 It also means that your area looks tidy and you favorite stationery items or keepsakes can take pride of place. 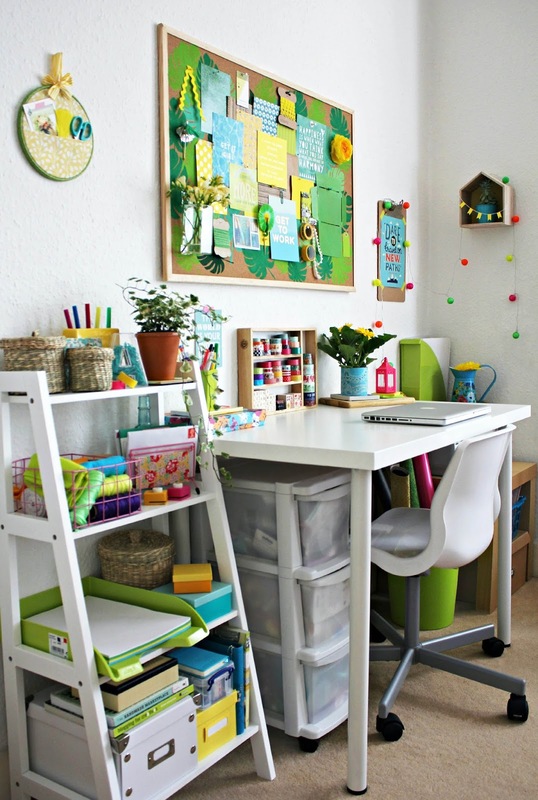 By being clutter free your office space will already look so much better, and its free. Although it can take a bit of time, it really does make a big difference. Put everything in its place. I made folders for all my paper documents; bank statements, car documents, tax stuff, you name it! It will hopefully make it much easier and quicker to find documents when I need them. For other bigger items you can use labelled boxes. If your boxes are looking a bit plain you can cover them in decorative paper or paint them to fit in with your colour scheme if you have one. I also like to use clear plastic boxes like the one below, as you don't need to open them up to see whats inside. Get creative with storage solutions. Finding storage solutions can be fun! 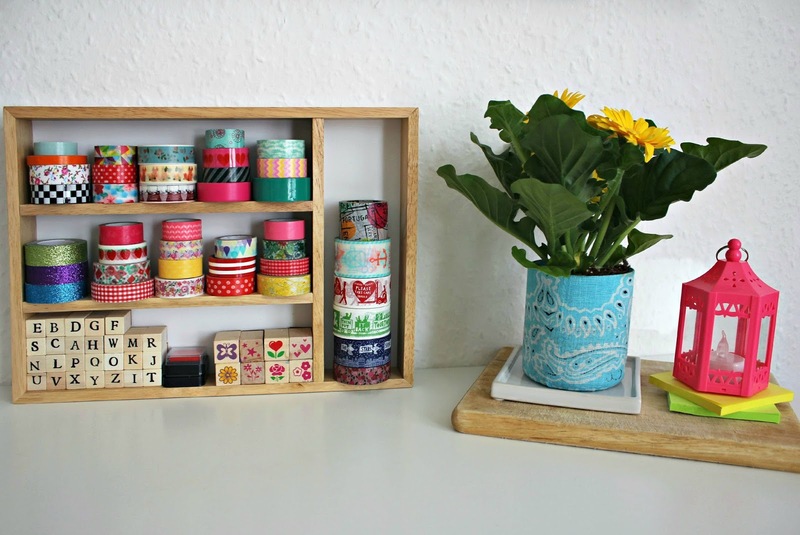 I used a cutlery tray (below) to display my washi tape and stamp collections. You can find cutlery trays in charity shops, carboot sales or your local discount stores. Another one of my favourite ways to store small stationery items is to use jars (like pasta sauce jars). Just wash them thoroughly and paint the lids or cover them with fabric like I did for my tutorial on Adventures and Tea Parties blog a while back. 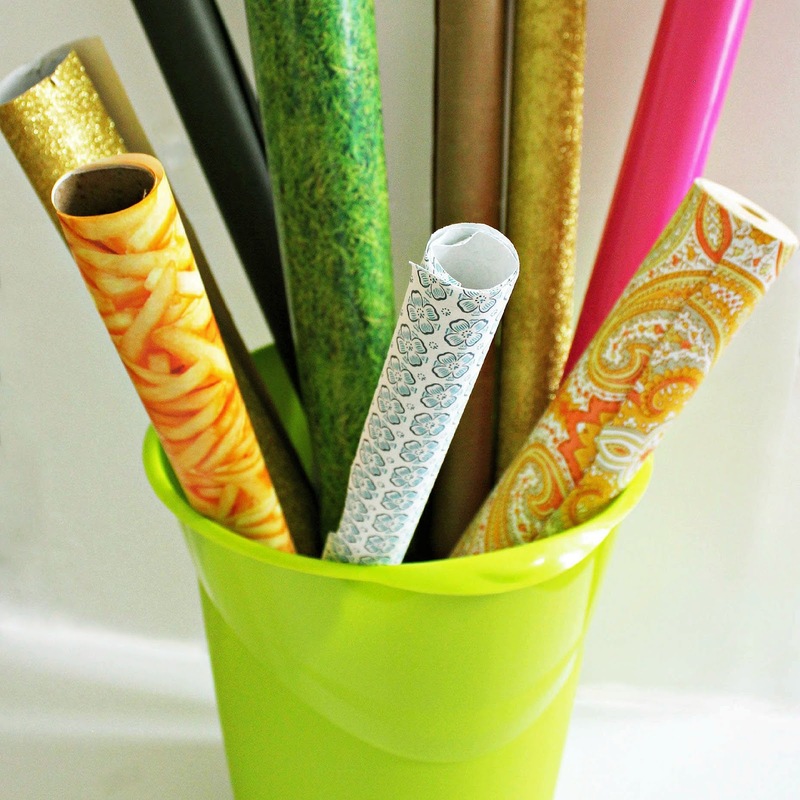 You can also decorate the outside of jars by covering them with decorative paper or applying washi tape/ribbon around them. Keep nice things on display. Get out all the things you need to have in your office as well as the things you would like to have on display. These could include; your favourite stapler, decorative items or keepsakes that have a special meaning to you. Then assess what needs to be there and what looks good, taking into consideration the style/colour scheme you are going for. Remember that less is more, so don't worry about leaving out some of your nice possessions if they don't look right. I have a few items that I really like but didn't include them because they didn't go with the look of the office. It doesn't mean you have to get rid of the items though, they might just look better somewhere else. One of my favourite things to have up in my office is inspirational quotes, you may have figured this out already by my looking at my notice board. I find they help to keep me motivated to get things done. I'm often tearing them out of magazines and buying new quote postcards from places like Paperchase. You can also print them off the internet or write them out yourself and put them up. 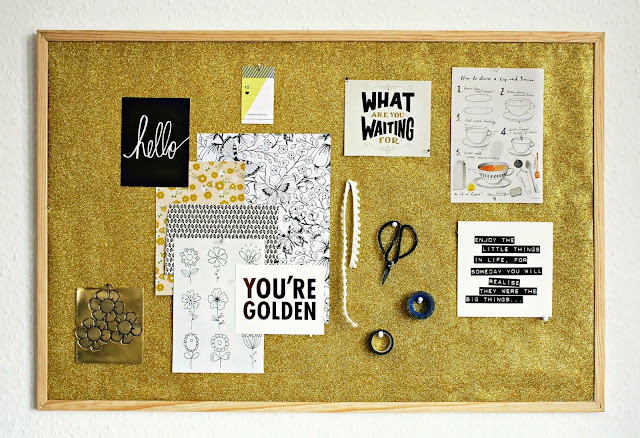 Notice boards are a great place to put up notes, reminders and inspirations. 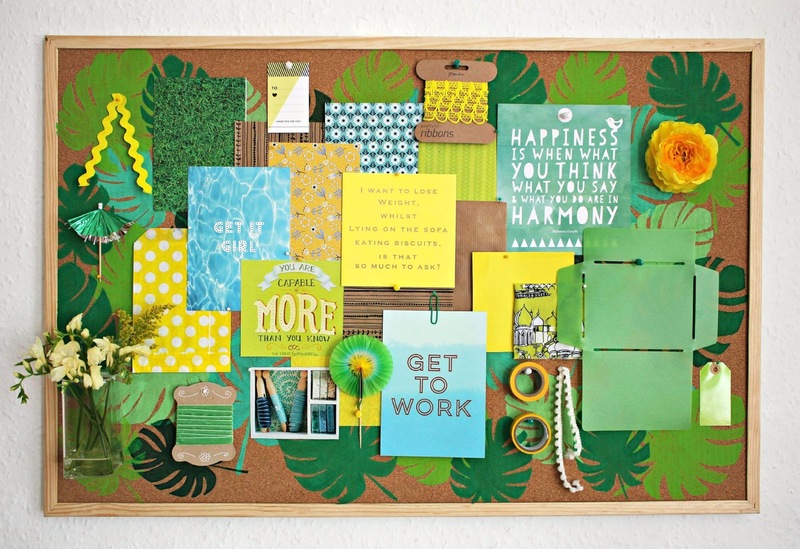 Your notice board doesn't have to be boring though. 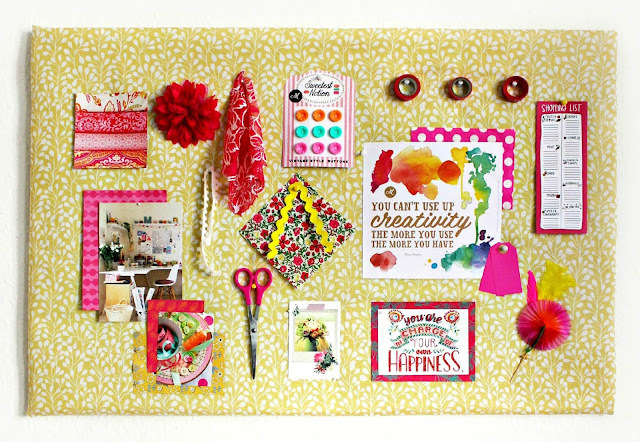 Check out my recent post on 3 ways to makeover a notice board for easy ways to make yours more stylish. An office can feel very stuffy when you just have the walls to look at. Incorporate nature into your office by bringing in some plants and flowers. If you are thinking flowers and plants are expensive you are shopping in the wrong places! I was so pleased with how cheap I found some nice plants for. For this makeover I used 3 plants, which only cost me £3.50 in total and a small bunch of discounted Freesias for 50p. I usually buy my plants from Wilko, Morrisons and from plant sellers at carboot sales. 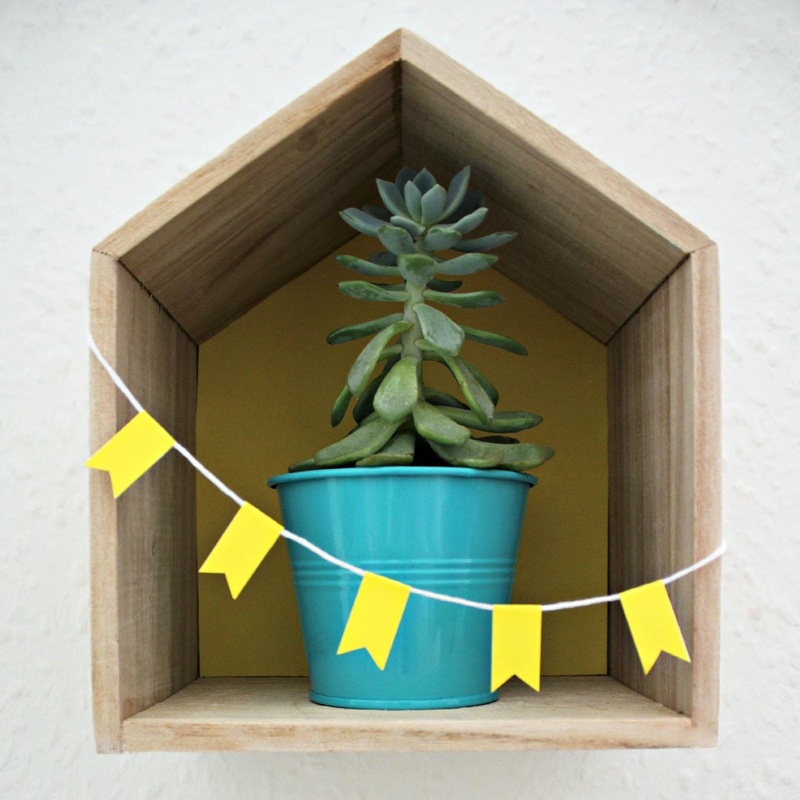 Great low maintenance plants include; cacti and succulents. If (like me) you find keeping plants alive difficult you could always try faking it with the artificial kind. Another way you can bring the outside in is by displaying postcards, pictures or art depicting nature scenes. 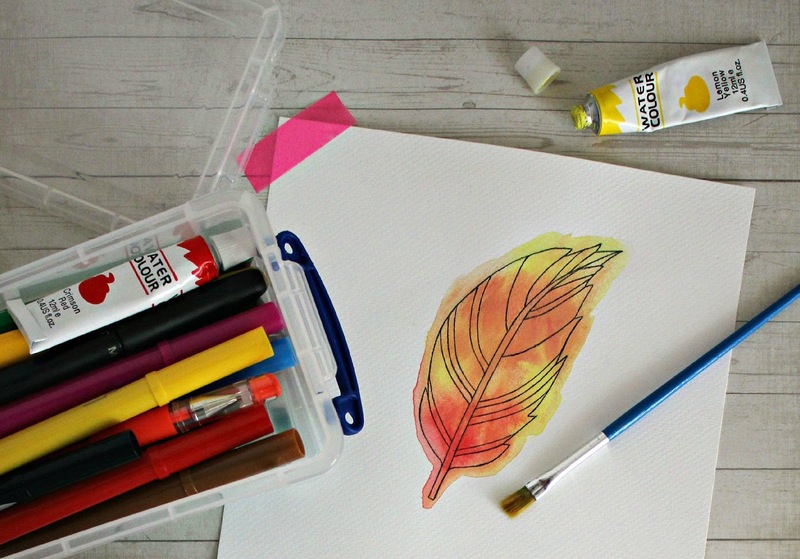 I hope you have found my tips for doing an office makeover on a budget helpful. Please let me know if you have any other suggestions in the comments section below, I would love to hear them. , I will show you how. The techniques I will use in the makeovers include; applying paper, using stencils and covering with fabric. Lets start off with the easiest and by far the quickest way you can transform a notice board, which is by using paper. 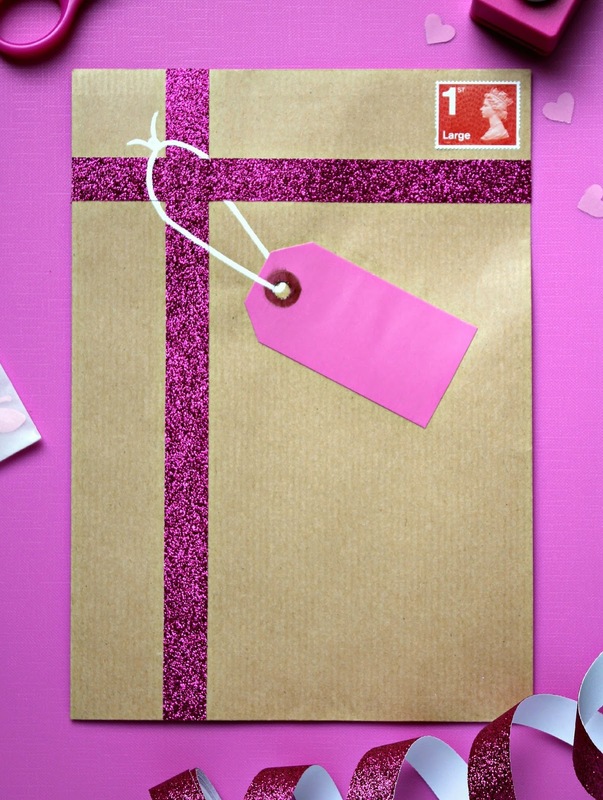 I gave this notice board above a makeover using glitter gift wrapping paper and it took me approximately 15 minutes to do! 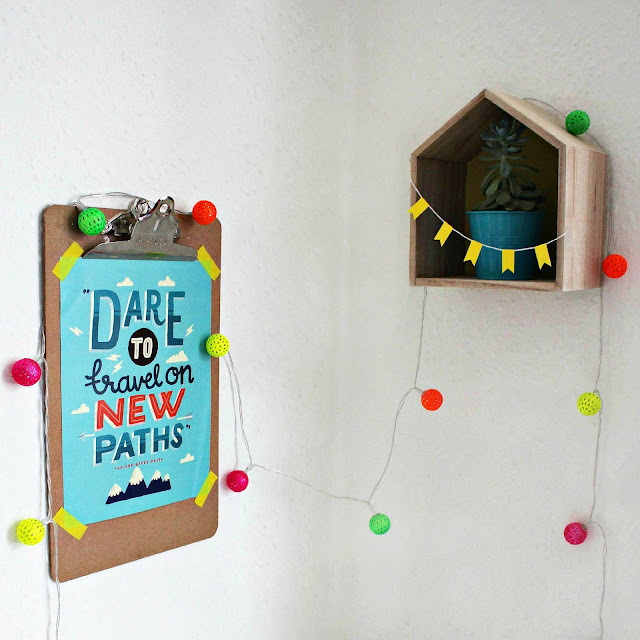 It has to be one of the quickest ways you can transform a notice board and it is so simple to do. 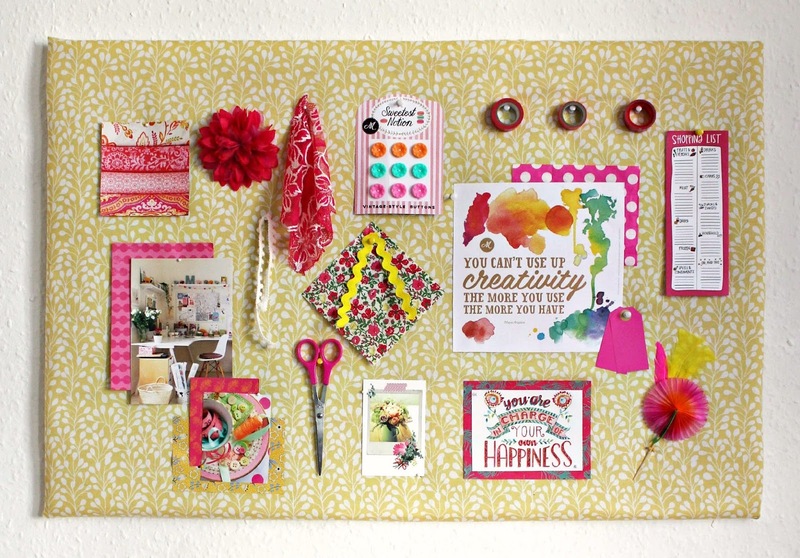 A notice board, paper (big enough size to cover your whole board), glue and scissors. Cut your paper to size. Cut the paper to the exact same size of the cork part of the board or if your noticeboard has a slight gap between the frame and cork part like the one I used, you can measure and cut the paper a few millimetres larger all round so it overlaps slightly onto the wood frame (this will be tucked into the gap at the next stage). 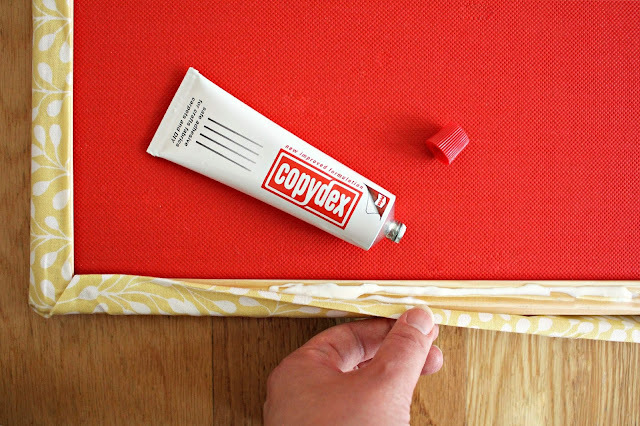 Apply a small amount of glue along the back edges of the paper (tuck in the gap if applicable then) adhere to the board. That's it! Really quick and easy. If you don't have a large piece of paper, why not try using smaller pieces of paper overlapped in similar or contrasting colours. Just remember when choosing your paper that pin holes may be visible when you take the pins out. The best bit about this type of makeover is that it is very easy to change if you want a different colour scheme etc. 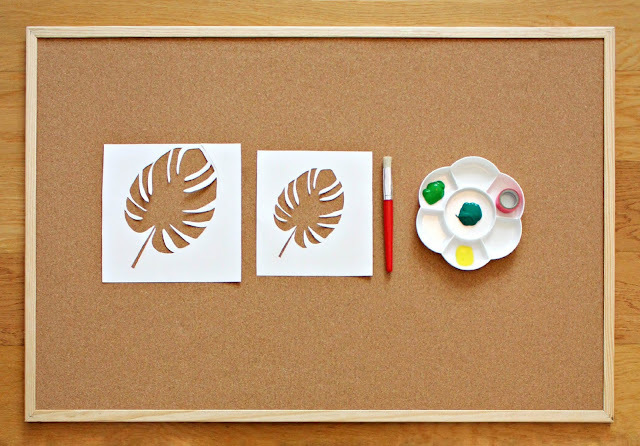 Turn your notice board into a piece of art using stencils. Making patterns using paint and stencils can really brighten up your board and make it a focal point in your room. You can make your own stencil templates like I did or buy them online or from your local home decorating store. A notice board, a stencil, paint (avoid watery paints as they can seep under the edges of the stencil), a stencil brush or sponge and some tape to hold the stencil in place. Before you start painting with the stencils try and have a rough idea of how you want the stencil patterns to be arranged. When you have decided on how you want the layout of your stencil patterns place your stencil flat onto the board in the desired position. 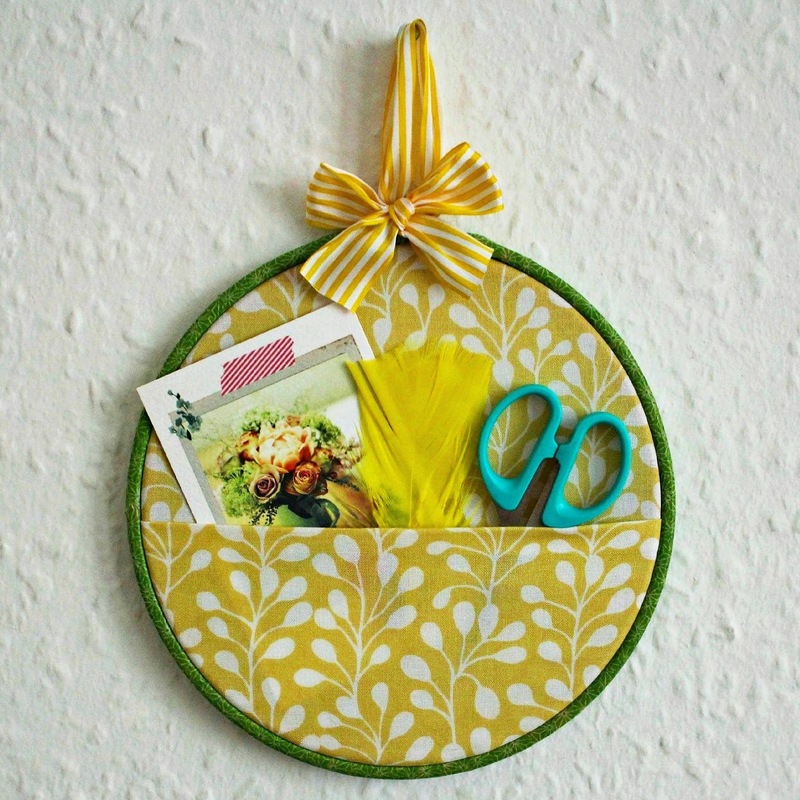 Secure in place with some masking/washi tape. Using a stencil brush or sponge apply the paint all over the cut out parts of the stencil. Apply the paint quite thinly so it doesn't seep under the stencil. 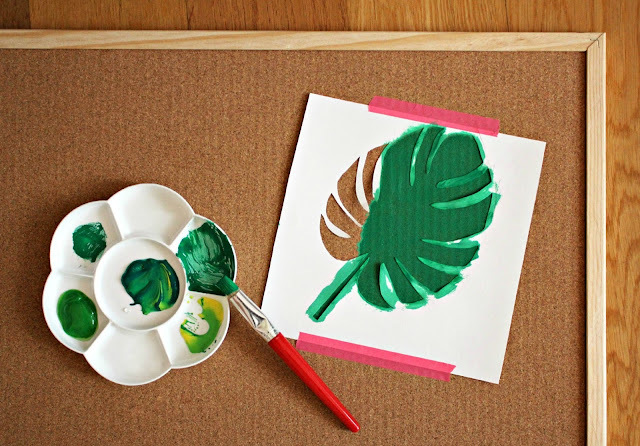 Repeat the last step for each place you want a stencil shape to be painted until you are finished and allow to dry. 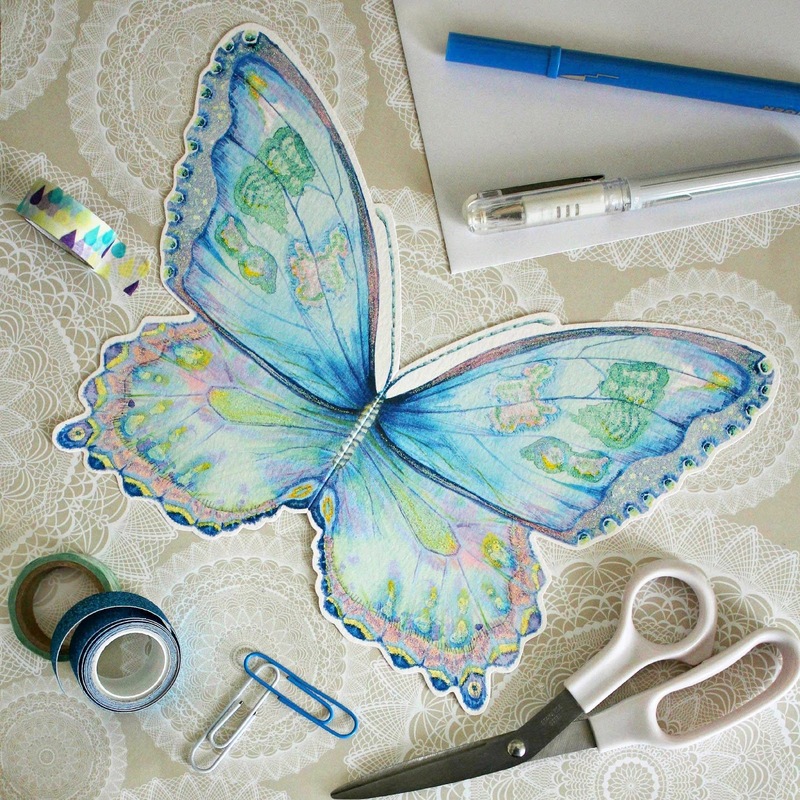 If you are planning on overlapping your stencil patterns you will need to allow the first layer of paint to dry first before applying a second layer of paint on top, so smudging doesn't occur. Also remember, if you are using different colours of paint to clean and dry brushes/sponges thoroughly in between. Finally the third option, and probably the most popular way to makeover a board, especially amongst diy fans and craft enthusiasts. This option is to cover the notice board in fabric. I love the way the fabric softens the look of the board. A notice board, enough fabric to cover your board and adhere to the back, wadding (note that thick wadding will make pushing pins into the board difficult, so go for a type that is thinner and light weight), scissors and glue (or staple gun if you have one). Start buy cutting the wadding so it is the same size as your notice board. 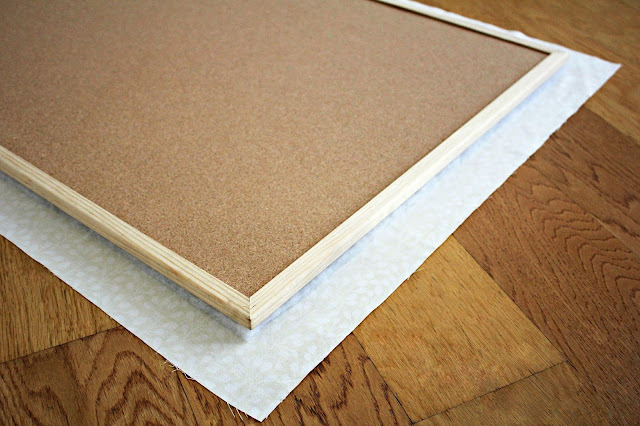 Glue along the front of the wooden frames edge and stick down the wadding. 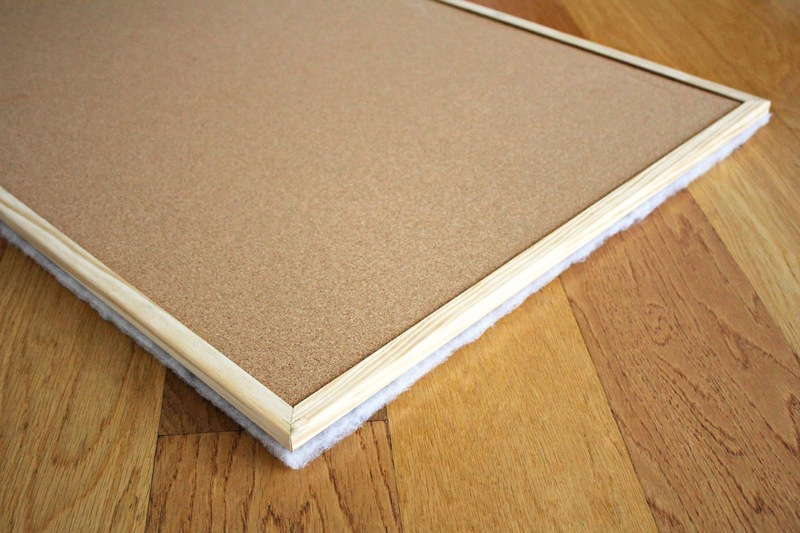 You can glue the wadding to the center of the board to if you want it to be extra secure. Iron you fabric if it is creased. Then measure and cut it so that it is a few of inches larger each side than the notice board. The fabric needs to be a bit larger than the board so that its edges can be glued to the back of the board. Finally. lay the fabric pattern side down on to a flat surface. Place the notice board centrally on top of the fabric front down so that the wadding is sandwiched in between the fabric and the board. 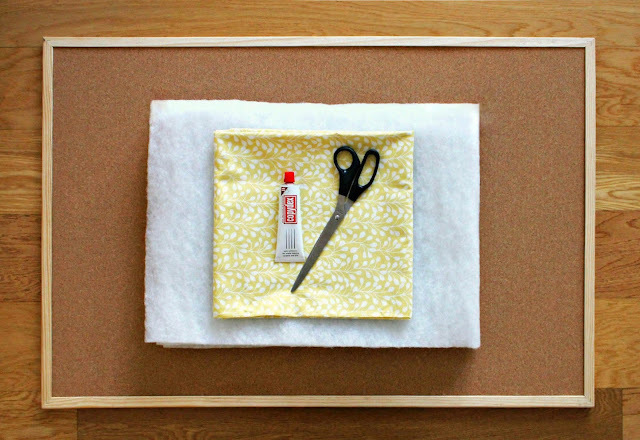 Fold over one side of the fabrics edge to the back of the board and glue down. I folded the fabrics long edge twice to give it a neat finish in case I wanted to use the felt back on the board I have. The edges don't really need to be folded over twice and glued neatly if no one is going to see it though so don't worry about it looking perfect. Stick down the rest of the fabrics sides. In between gluing each of the sides turn the board over so you can see the front and check if the fabric is still laying flat. In order for the fabric to lay smooth across the board it will need to be adjusted and pulled slightly over the edges as you go. 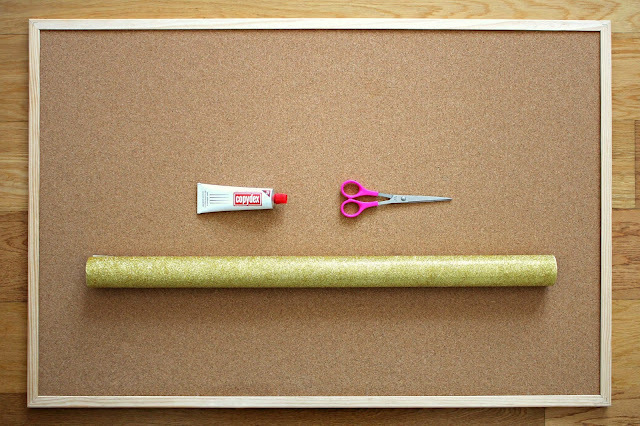 Allow the glue to dry then hang the notice board up. 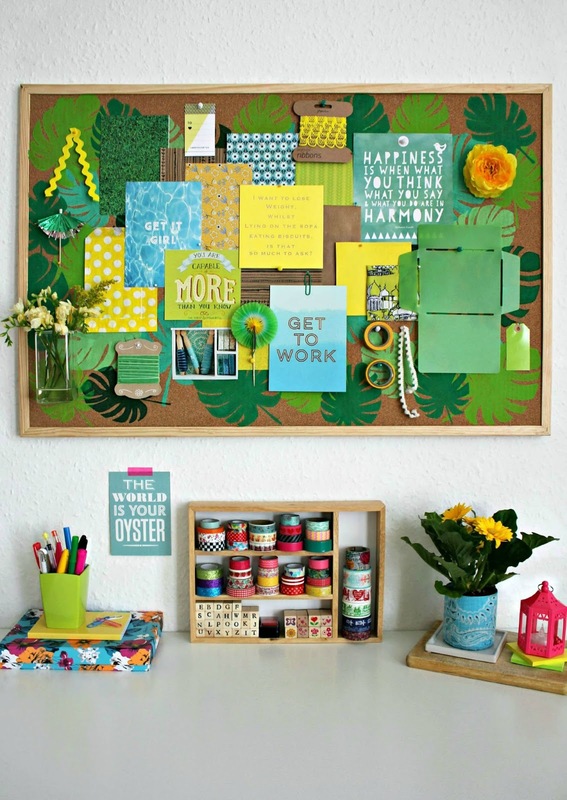 Look out for which notice board style I will choose to have in my office makeover coming soon. I hope you have enjoyed this blog post. 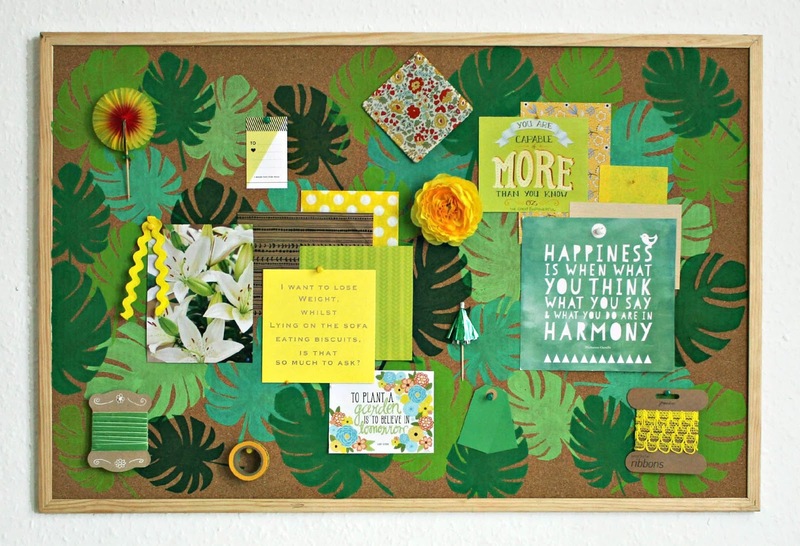 I would love to know if you use any of these techniques to makeover a notice board and how you get on.